A bot is a programmable piece of software that can automate tasks. The unique opportunity with Messenger Bots is that you can build an automated experience into a very active communication app (1.2 Billion users is nothing to sniff at). The "bot" is nothing more than a series of automated messages and replies that you set up based on basic "if this, then that" logic. One of the most basic functions of a Messenger bot gives you the opportunity to essentially create a Choose Your Own Adventure Novel type experience. Your bot can send a messsage to someone, and then give them a few choices. The bot will then send a different message depending on which choice the user selected. It's kind of like a guided conversation with your business or organization. 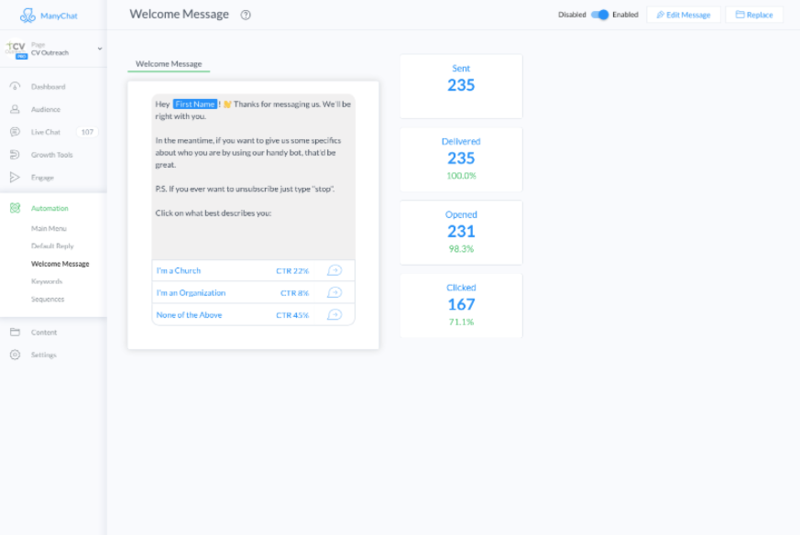 Check out our CV Outreach Messenger Experience. What Can a Messenger Bot Used For? 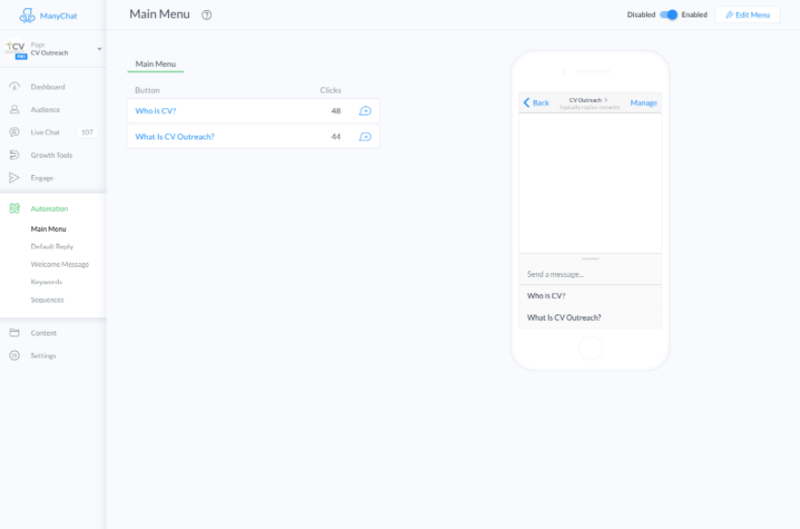 To organize your users into different groups like members, volunteers, potential visitors, and then give each of those groups a different series of messages. How Hard Is It to Make a Messenger Bot? Set up a Main Menu that will stay at the bottom of the Messenger Screen. These are clickable options that can be for some of your more frequently asked questions. Use the Facebook Comment "growth tool" that triggers your bot from a Facebook Comment. Send automated "Sequences". These are similar to email automations, and can be triggered by tagged subscribers and also keywords that a person might use. 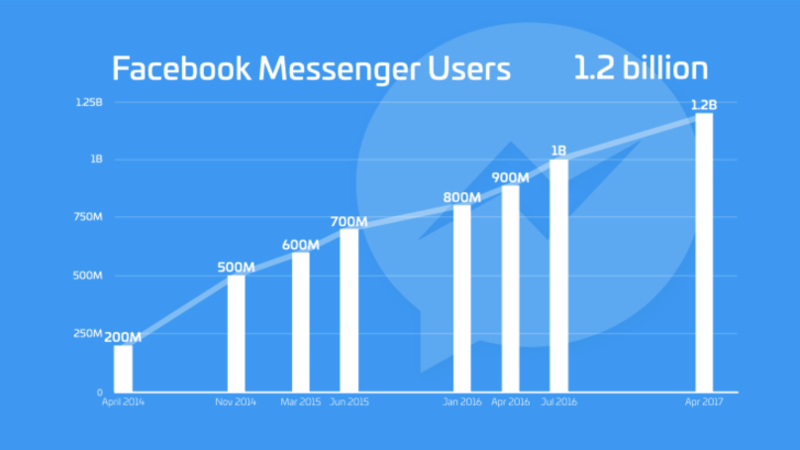 Besides just being the latest tool on the block to play with, Messenger Bots have provided some interesting and powerful benefits for people who want to take the time to use them. The ability to Message people who have subscribed to your bot. The only other way to do this is to run a Facebook Ad with Messenger as the placement. However, you would have to pay based on CPM regardless of whether or not they opened it. Extremely high open rates for people who receive Messenger Broadcasts. An industry average open rate on an email can be as low as 25%. Services like ManyChat boast average open rates as high as 80% for Messenger Broadcasts. Our Broadcasts open rates have been even higher than that. Incredible organic reach on Facebook posts that use the Comment Growth tool. Some of the best organic reach that we've seen is on posts that use the "comment to message our bot" feature. In fact, our last post that we used that ManyChat feature on organically reached a higher number of people than the number of people who have liked our page. Here is an example of an "if this, then that" Messenger Bot sequence that a church could use. Someone messages your church page, and you ask them if they are a member or a potential visitor. They select potential visitor. You welcome them as a potential visitor, and ask them how you could help make their first visit easier. Would they like information on how to get to the church, what the service is like, or how to check their kids into the kids area. They select that they want information about checking their kids in. You tell them that your glad to have their family potentially visiting your sevice, and then you ask them how old their kids are. Are they toddlers or younger, elementary school age, or youth group age? The select toddlers or younger. You give them information about how your toddlers or younger kids care program works, and make sure they know what to do when they arrive. You ask them if they have any more questions. The user can type out any questions they might have, and you could have a real person jump in to interact with them at this point. As you can see, this type of example would splinter off into multiple flow charts of interactions. The great thing is that once you set it up, it can run uninterrupted 24 hours a day. What do you think? 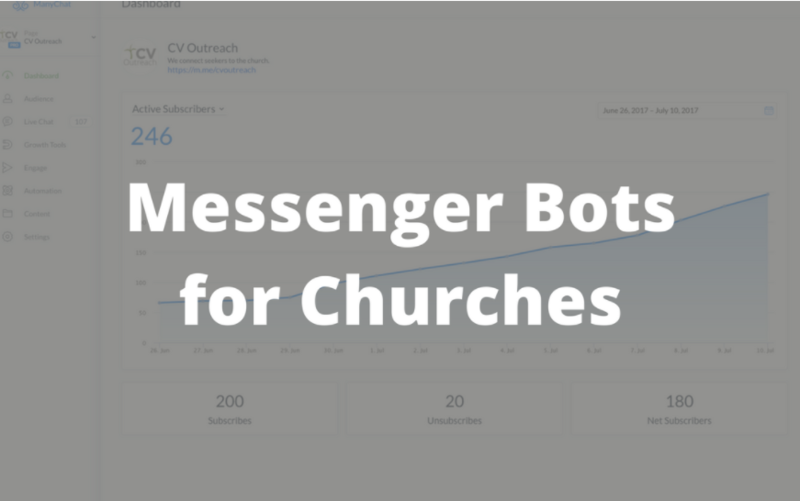 Has your church thought about using a messenger bot? Looking for a practical starting point for Facebook Advertising for Churches? 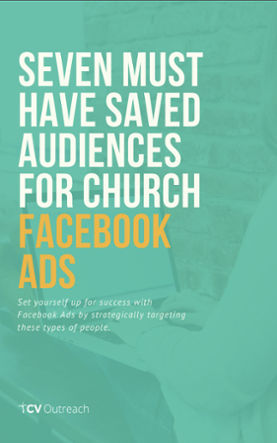 Download our Free Guide for "The 7 Must Have Saved Audiences for Church Facebook Ads".